Our topic is the Stone Age. 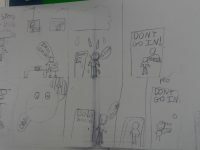 We are reading Ug by Raymond Briggs. 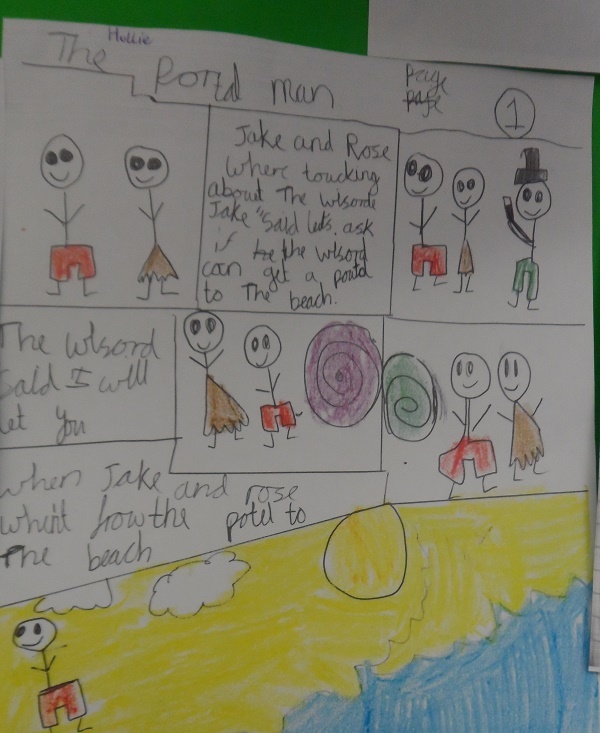 The story is about a boy called Ug who lives in the Stone Age but he is much more modern and creative. Ug wants to explore more than just stones, mud and bushes. He makes a stone boat but it sinks because it’s too heavy. He then finds some twigs and makes another boat. Ug has a celebration with his friend Ag because the wooden boat is successful. However, there is a possibility that the wooden boat might fail as it could sink because of the holes between the twigs. We are enjoying the book. 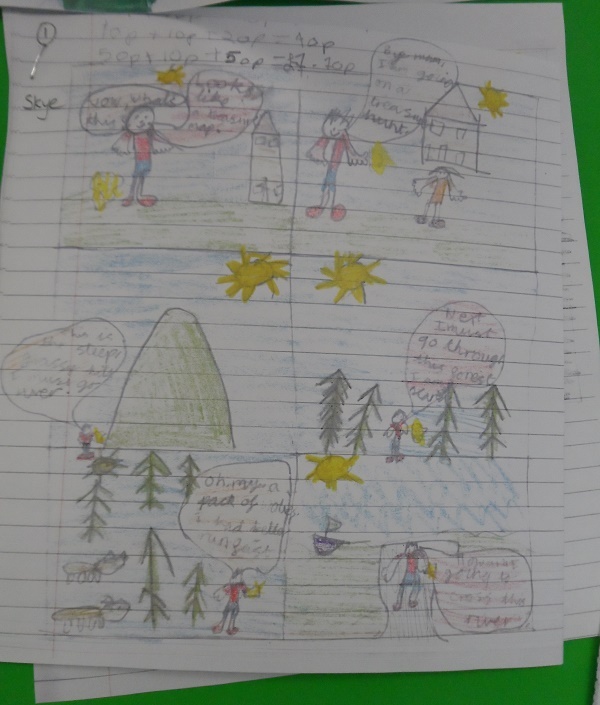 For our home learning we have been asked to create a comic strip of our own story. 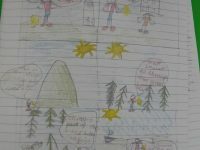 Comic strips are pictures with a little bit of writing to explain the story – a bit like a story map but with more detailed pictures. 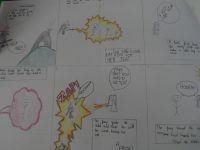 Comic strips are often funny and we have tried to make our comic strips entertaining. 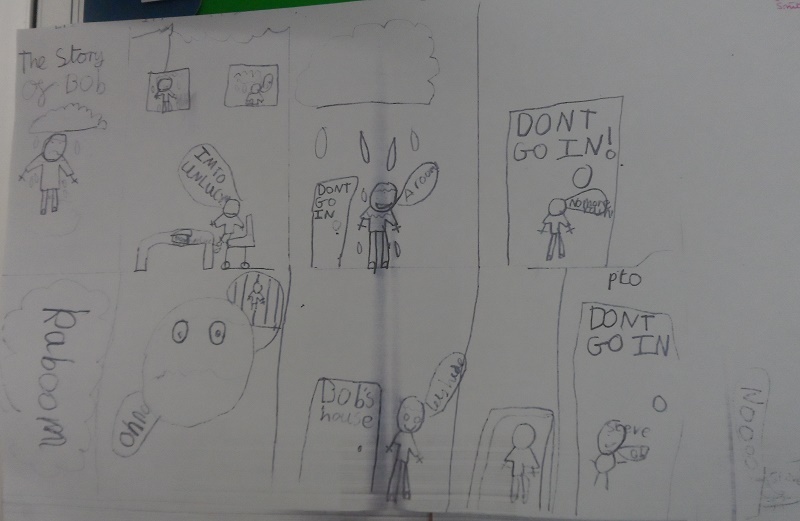 Some of us planned our comic strip first, thinking of key features of our story. Others made it up as we went along, thinking of things which we liked. 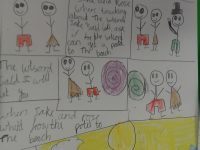 Some of us used colours to decorate our comic strips. Some of used just pencil as Stone Age people might not have had colours. 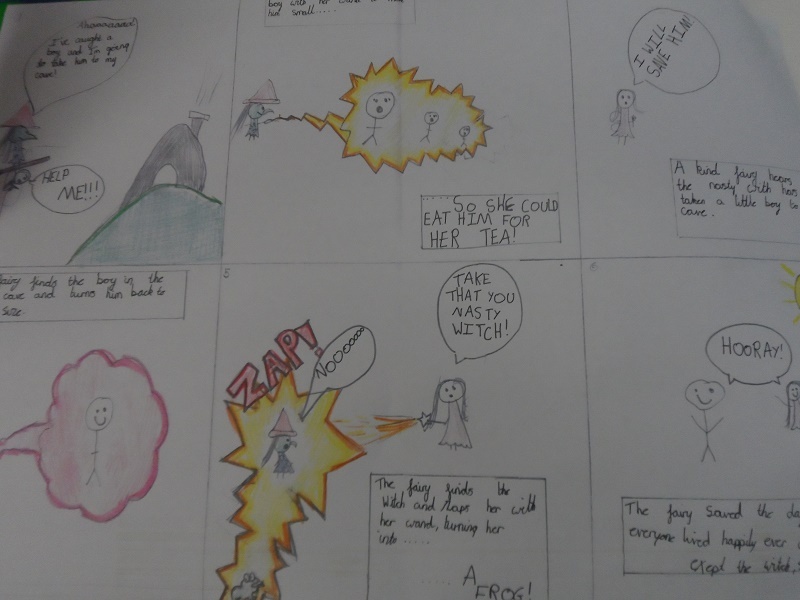 We have learnt that comic strips are another way of telling a story.